... Especially when it comes to parenting. Let's face it, it's not unusual to be unsure about what's best for your children. Whether you're actually not doing it right or just feeling like it, the feeling itself can cause immense stress which can indirectly pass on over to your precious little kids. And, it's obviously not a good thing, because stress isn't good for the intellectual development of children. So, what's the best way to cope up with this potentially earth shattering problem? You guessed it right, parenting blogs written by actual parents!​ They not just provide real world experiences regarding raising kids, but also educate you about the various individual pieces of the complex, never-ending puzzle that is parenting. So, our editorial team here at BestForTheKids went on a mission - scouring the web for 2 whole weeks in search of the most well-rounded parenting blogs. Without further ado, here's our carefully curated list of the top 50 parenting blogs (sorted alphabetically) recommended for you. Franca Desjardins is originally from Peru, and lives in London, England. 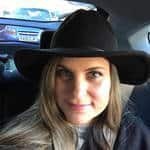 She blogs about everything lifestyle, parenting, family and travel. She has two daughters, six year old Bella and two year old Sienna. She has been married for seven years, and describes her husband as her best friend and the best husband she could ever ask for. On her blog, you'll find bucketloads of super useful information when it comes to making smart parenting & lifestyle decisions. Author of the An Ordinary Life blog, Lisa White loves yoga, baking, learning new things, and writing. Her blog is meant to be educational, and exists to help make learning fun for children. She believes in learning in a hands on way, so she shares new ideas and projects that her family does as they do them. Her blog covers both science and math, as well as her recipes. 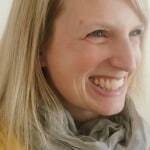 Lucinda Barton, author of blog Bakes, Books & My Boys, lives in Sussex, England and is a wife and a mom of two. She loves baking and the outdoors, and has a springer spaniel, two cats, and three chickens. She blogs about home life, baking, and places to visit around the UK and elsewhere, and many other things. Becca runs a parenting, lifestyle and fitness blog, and writes all about experiences as a first time mum. She started the blog initially as a way of connecting with other first time parents as she didn’t have any friends with children at the time. Alongside writing about general day to day things that we get up to, she also features a lot of different products on her blog related to parenting and fitness which she also loves doing. Wife and mother of three beloved children, Becky lives in the west of Ireland, though she is originally from New York. She is the author of Cuddle Fairy, a blog about lifestyle and parenting. She is a proponent of positive parenting, and believes in healthy eating, and isn’t afraid to blog about it. Sabina Green is a blogger, freelance writer, wife, step-mom, and mother to four children that she calls her “beans”. 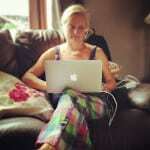 Her blog Deep in Mummy Matters is a blog about her family and includes discussion of her family. She posts about their journey and their adventures. She named her blog after her conviction that all moms matter, and also after the matters she intended to write about: mummy matters. From Nanny to Mum, with all that childcare experience Clare thought motherhood would be a breeze.....of course she couldn't have been more wrong. She shares adventures and misadventures of life with two whirlwinds as well as the hugely popular blog series Top Tips from a Former Nanny. Accredited child car seat expert and mother of three, Therese Gilbert is passionate about making others aware of the wide choices available for Extended Rear-Facing car seats. The main aim of her blog, A Rear Facing Family, is to inform those in the care of a child about the choices available for in-car safety, to prevent deaths and injury. 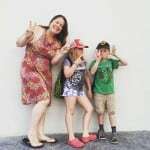 Mother of four children aged 12, 10, 6, and 5, Emily Foran is the blogger behind Family Four Fun, where she blogs about all things family life, love, and fun. She lives in London and works from home while trying to do it all, including blogging, school-running and multitasking. 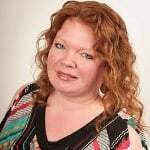 Jennipher Walters is one of twelve members of the team that makes up Fit Bottomed Mamas. She is the cofounder of the site, and is a certified personal trainer, health coach, advanced fitness specialist, and group exercise instructor. 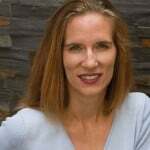 She has written for numerous publications, including Shape magazine, and has an MA in health journalism from the University of Minnesota. Laura Le Roux is a mother of four and a wife who feels harassed but happy, which is the reason behind the name of her blog. She lives in South Africa, and writes books in addition to blogging. She loves where she is at in her life, and she blogs about it. Katie Roberts-Mason, mother of two little girls, is the author of Heels and Hooves, a blog named after her obsession with both horses and high heels. On her blog, she talks about parenting, horses, family, style, and more. Her daughters are Lottie, three months away from being two years old, and Frankie, who is two months old. 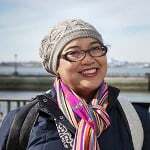 Pam Bororo, wife and mother of a three-year-old daughter, is the author of Hey, Miss Adventures! and currently lives in the Philippines. She loves to travel, camp, hike with her kid and husband, backpack, and generally just explore, and encourages other parents to do as much of the same as they can with their little ones. A teenage mom who became the mother of a teenage mom, Nickie O’Hara has been through the wringer. Her daughter was diagnosed with cancer as a baby, and is a survivor. 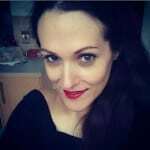 Nickie tells her life’s story in the about me section of her blog, and hands down, it’s heart wrenching in parts, but also touching in others. She blogs about family, London, music (guitars, ukuleles, violins, pianos etc. ), running and more. Author of My Purple World, Indah Nuria is a mother of two, a boy and a girl. Her wide variety of passions include shopping, blogging, diving, cooking. She has traveled to many places around the world, and blogged about her travels. She also blogs about life with her kids Obi and Bo, and in her words, “glorious food”. 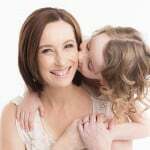 Confessions of a Mommyaholic author Janine Huldie is the mother of two little girls. She describes her blogging style as being similar to a hair salon gossip fest. 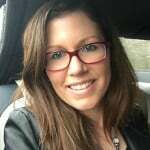 Janine blogs about topics including beauty, lifestyle, fashion and parenting. She has been married since 2006, and has been a mom since 2010. 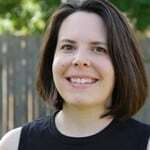 Jennifer Jain, author of Jennifer’s Little World, is a blogger and freelance writer. She lives in West Sussex, and is mother to Harry and Mia. She started her blog in 2011 as a way of recording her family memories, and is still blogging six years later. She loves crafting and exploring the world, and writes about topics including crafts and her travels. 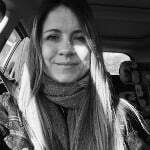 Jillian Lauren is a mom, bestselling author, storyteller, award-winning blogger, rockwife, adoption advocate, and drinker of lots and lots of coffee. 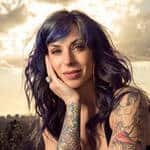 She writes with candor and humor about parenting, rock tours, special needs, the band KISS, and the tragic fragility of pet frogs, amongst other things. She lives on top of a hill in Los Angeles with her husband, Weezer bass player Scott Shriner, and their two pirate children. 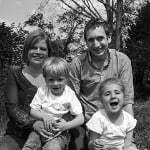 Mother of two boys and wife of husband Lee, Claire Kirby is a blogger that lives in the South of England. She is thirty eight years old, and her pleasures include chocolate, rose wine, and Gerard Butler. Her blog is about her parenting journey, and includes many humorous posts, as well as serious ones. A stay at home mom who lives in the south of the United Kingdom, Gem is a trained counselor that specializes in working with young people. 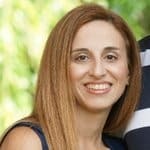 Both of her children are adopted, and she started her blog to keep friends and family updated on the adoption process. She has kept it around to help adopters and prospective adopters, as well as her own sanity. Author of Living Mi Vida Loca, Pattie Cordova lives in the Los Angeles-area with her husband and two boys, who she calls her chiclets. She loves coffee, fitness, and fiestas, and writes about the modern Latina Lifestyle. Topics on her blog include what modern Latinas are watching, eating, buying and visiting. Afra Wilmore is mother of a whopping seven children, that she loves dearly. On her blog, she writes about family, food, chronic fatigue conditions, and more. Her main focuses are cooking, eating out, parenting a child with ASD, and family life. 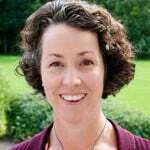 She is a contributor at #post40bloggers and New Life Outlook, a health resource network. Hannah Harding is a professional blogger, photographer, lover of writing, and mother of two. 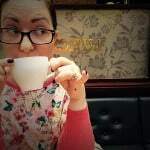 She lives in Yorkshire, England, and blogs about her adventures as a mom, and her life. Her husband sometimes shows up on the blog, though the real stars are her son and daughter, nicknamed “Busby” and “H-Bear”. Named “mom of the year” by Shape magazine, Leah Segedie is a blogger, food activist, and social media consultant. Fitness magazine has dubbed her blog their “Favorite Weight Loss Blog,” and the Huffington Post has compared her to Lady Gaga for her unique social media tactics. She blogs about food, health, activism and more at her site, Mamavation. Mother of one little baby boy named Boo, Sophia Walker is cofounder of Milk Drunk Diary. 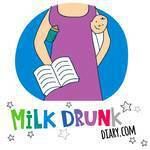 Originally intended for catharsis, Milk Drunk Diary is now one of the leading parenting blogs. She hopes to bring a mix of love and laughter through her blog to her 28,000 followers on the blog and social media. 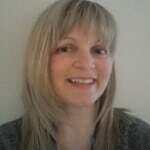 Author of Mum in a Nutshell, Ali Chapman is a single mother of three boys: a toddler, a preteen, and a teenager. She is a vegetarian and a positive thinker that recently began switching to a cleaner and healthier lifestyle. 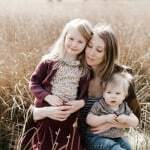 Her blog covers all things lifestyle and family, including cleaner living. 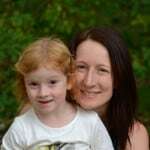 Mummy Alarm is a parenting lifestyle and travel blog following the adventures of mummy & daughter duo Carolin and Amy. They share blog posts and videos about days out, holidays as well as tips and tricks for busy mums that make parenting and life that little bit easier while recording the ordinary and special moments of their life. Writer behind Mummy Constant, Sonia Constant began her online magazine and “Mummy blog” as a small online pregnancy journal. She is the 34 year old mother of two school-age children. Her day job is in IT, taking care of a local government’s website. She blogs about lifestyle topics, travel, family and more. 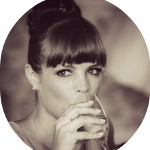 The avid blogger behind Mummy Hearts You, a parenting and lifestyle blog, Anna-Marie Belton is a 30 something wife living in the South East, and mother of children G and H.
She loves tea, crochet, baking, flamingos, and Harry Potter. She shares about anything and everything that piques her interest. Mother of little girl Savannah Grace, Katie Jones runs a café in Windsor and loves to blog. She has a literature based degree that she admits she will never use from Royal Holloway, University of London (RHUL). She blogs about a wide range of topics, including fashion, her daughter, food and family. Mummy Mishaps is Jenny, a clumsy (mostly) SAHM to two boys who are now both at school. To occupy herself while they are off learning, she loves to bake (and eat!) cakes and she enjoys creating new and delicious recipes to share with her readers. There are so many yummy cakes to look at on the site. Jenny also loves to cook family meals which are tasty and easy to make (she hates faff!) and hide a multitude of vegetables and nutritional goodness, as her boys are fussy eaters who don’t care much for vegetables they can see! Blogger, dreamer, writer, and mom of three, Emma Vanstone is the author of Mummy…Mummy…Mum! For the last four years, she has been working as a freelance social media consultant and running several of her own blogs. 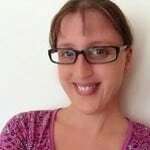 She has a degree in microbiology and virology that she has never done anything with, though she does run science-sparks.com, where she blogs about fun science experiments to do with children. Lisa Pearson, a.k.a. the Mummy Whisperer, is 43, and lives in St. Albans. She has two children, and has been married for 23 years. 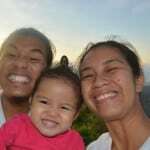 She blogs about ways to enjoy being a mom, and believes that moms are special and important to the world. She is an Amazon bestselling author, and an award-winning blogger. 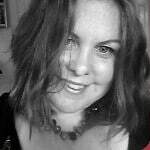 Mummy Wife Me author Renee lives in Australia, and has two little girls. She and husband Dave have a beautiful love story, that almost ended sadly at one point, but finally didn’t. Her blog follows her journey in parenthood and marriage, and she hopes that readers will learn not to lose sight of themselves in the same journey. Sara Murray, author of Mum Turned Mom, is a Scottish mum of three, currently living on the East Coast of the US. Her blog charts her journey through motherhood, her quest for a creative and simple life and the challenges and opportunities that come from being an expat. She loves taking photos, recording her families adventures and drinking tea. Yvonne and the crew are a family team of 5 bloggers (34 year old female, 36 year old male, 23 year old female, 15 year old female and 14 year old male), each specializing in different topics from family, days out, toys & games to food & drink, technology, healthy & beauty, fashion and lots more! They post about their lives, experiences, fun stuff and publish impartial product reviews. They have a fun, well-written blog with a little something for everybody! 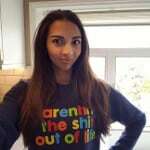 Creator of blog parentclub.ca, Caroline Fernandez is a blogger, freelance writer, and mother of three. Her kids are aged 16, 13, and 6. She is the author of two bestselling books: Boredom Busters and More Boredom Busters. She blogs about a variety of things, including kids’ activities, food, travel, and fashion. 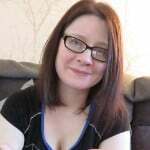 A blogger since 2010, Penny is married and lives in Nottingham and has two children. She is passionate about traveling and the family lifestyle. She loves to get outdoors, explore nature, and have adventures. Her adventures have included a trip to Africa, selling her other blog, and climbing Mount Snowdon. Originally from Romania, Otilia Stocks is a wife and mother of two. She is 36 years old and is licensed in law. She began blogging in 2010, and writes about Romanian tradition, fashion, travel, and many other interesting subjects. Her husband is from Yorkshire, and the couple has been married since 2006. 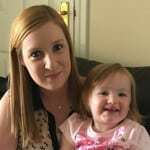 Spewing Mummy is a blog dedicated to the severe pregnancy complication Hyperemesis Gravidarum (HG). Posts are designed to raise awareness, break down taboos and provide comfort and support to women who are suffering. 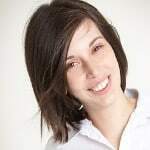 There is a wealth of information by the HG nurse specialist author, Caitlin Dean, as well as resources such as symptom charts and charts to help manage the condition. 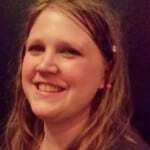 Caitlin also provides posts for partners, family and friends and healthcare professionals involved in the care of women with the condition. A 33 year old father of two, Richie Williams believes that dads should have their share of the fun too. The purpose of his blog is to inspire other parents and also grandparents to be the best that they can be. During the day he works as a network administrator for a local school district, and at night he is most likely to be found spending time with his kids. 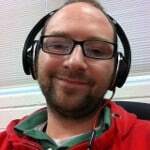 On his blog he talks about living in St. Louis, as well as apps and tech, and also does reviews, among other things. Susan is a Scottish, IT working, mummy blogger of 3. She has blogged at susankmann.com for over 7 1/2 years about the highs and lows of parenting and everything in between. Blogging gives her a little space to chat and vent and review things she loves. She has recently started doing videos on YouTube, but she generally loves taking pictures and spending her time on Twitter more. She's quite active on Twitter, as well, and welcomes her readers to have a chat with her on Twitter. 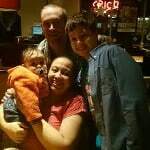 Mom of four, Canadian Kim Logan began her blog to post about events, coupons, sales and deals available to Canadians. She still blogs about these things, and posts about giveaways available in both the U.S. and Canada. Her blog includes topics related to her family, their adventures, being a mom, and being a redhead. 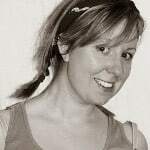 Author of The Little Pip, Rachel Buchanan is the mother of the four year old daughter on whom the name of the blog is based, Pip, as well as a darling little boy nicknamed Buster. She blogs about her experience of surviving week by week as a working mom of two. Becky Gower, a.k.a. 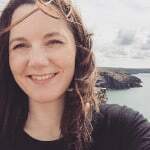 Bex, has a degree in English, and lives in a remote area of Kent, South East England, with her husband and her four children, Finn, Archie, Dylan and Cora. Her blog The Mummy Adventure follows her journey as a mom. She currently works from home as a freelance social media manager and blogger. 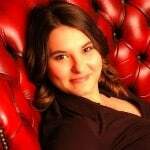 Mother of three, Leyla Brooke runs her own successful freelance company, www.thisdaymedia.co.uk. She started her blog as a way of writing about taking the positive from each day. She considers This Day I Love a “family blog,” and topics include but are not limited to family travel, family play, and family fun. The Thoughtful Parent offers parents research-based information in an approachable format. It brings together a combination of research and real-life parenting experience to delve into common issues faced by many parents. The author, Amy Webb, does not claim to be a parenting expert, but rather a source for research than can help inform parenting decisions. 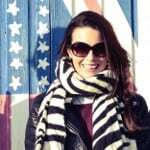 Victoria is the blogger behind Verily Victoria Vocalises, which is primarily a parenting and lifestyle blog. She's the mom of a 10 year old girl, and is due to deliver her 2nd child in July 2017 through her second IVF (In-vitro Fertilization) attempt, after trying for around 4 years. Apart from blogging, she also loves to write poetry and she's also a passionate photographer. John, Youtuber and author of blog View from a Daddy, is a stay at home dad with two little girls. His wife works full time, and his family loves the times when they all get the chance to be together. 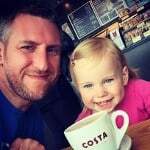 His blog gives a Daddy’s perspective on parenting and family life. 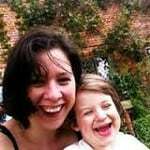 Mother of two year old son Arthur, Victoria Knowles blogs about things that make life easier for working moms, or things that make it harder. She also does product reviews and writes about her adventures with Arthur, and describes herself as a “lazy girl in a busy woman’s body”; a lover of short cuts. Parenting is an art form that few care to fully explore and master. The quality of parenting your children receive from you can single-handedly make or break their future. Thus, it's important that your parenting methods aren't influenced by any sort of neglect. 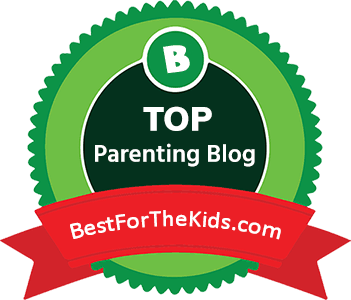 With these top parenting blogs, however, you have the opportunity to look at parenting through the eyes of other parents around the world. Different perspectives will certainly ​have a positive influence on your own way of thinking. So, which blog do you like the most from above?​ Also, if you think we've missed one or more awesome parenting blogs that deserved a mention here, feel free to leave those names as a suggestion down below. What an AWESOME post! I have to rush home from work today and share this with my wife and read the whole thing together. I came on your website mainly to get toy-related recommendations for my daughter, and returning with a list of parenting blogs for my wife. Talk about the randomness that’s life! Overwhelmed to be featured on this list! Thank you so much!! Thank you for featuring me in this list!